In the late 19th century, as America’s teeming cities grew increasingly congested, the time had come to replace the nostalgic horse-drawn trolleys with a faster, cleaner, safer, and more efficient form of transportation. Ultimately, it was Boston — a city of so many firsts — that overcame a litany of engineering challenges, the greed-driven interests of businessmen, and the great fears of its citizenry to construct America’s first subway. 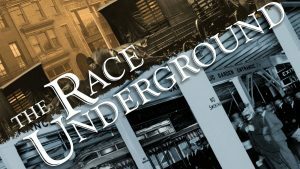 Based in part on Doug Most’s acclaimed non-fiction book of the same name, The Race Underground tells the dramatic story of an invention that changed the lives of millions. On CPTV: Tuesday, March 20, 2018 at 8 p.m.